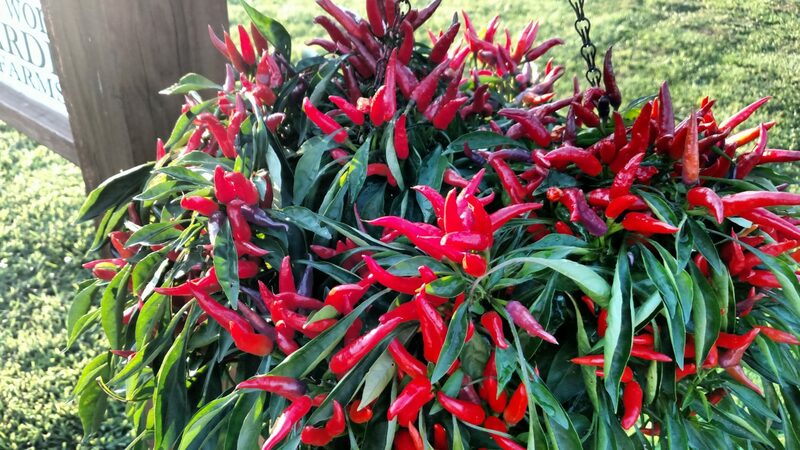 Every single year – without fail – there is one variety of plant in our garden and landscape that outshines all of the others – our ornamental peppers! 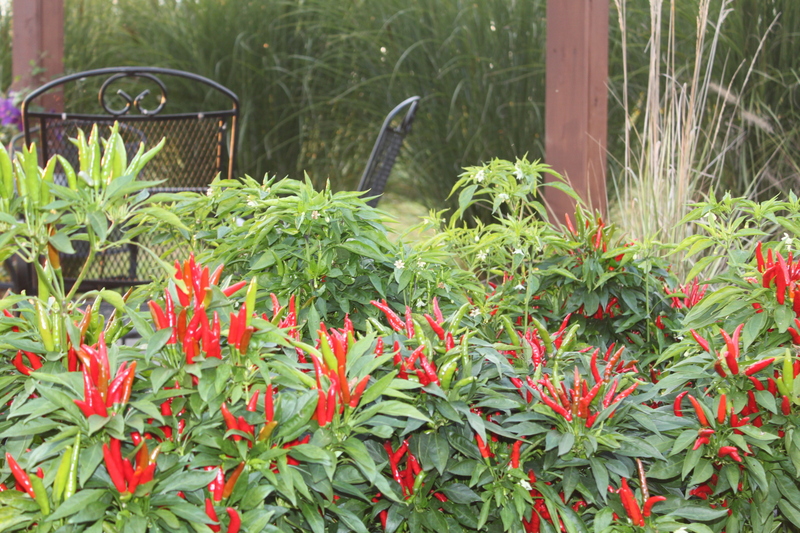 Our ornamental sangria peppers in full bloom last year from seeds we saved and grew. We now grow and save seeds from over 15 varieties – and quite honestly – I just can’t figure out why more nurseries, flower shops and garden centers have not elevated these plants to “Rock-Star” status! Ornamental peppers provide massive color, texture and variety to all parts of our garden and landscape beds – and have become one of the most colorful and longest lasting plants we use in our hanging baskets. 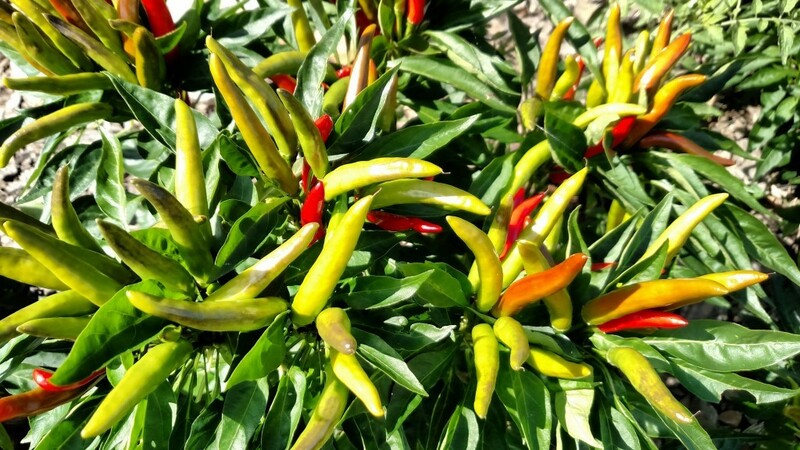 The best part – most ornamental and specialty peppers are edible and incredibly tasty. And if that wasn’t enough – they are also by far our most drought-tolerant and longest lasting of any of our annuals that we plant. 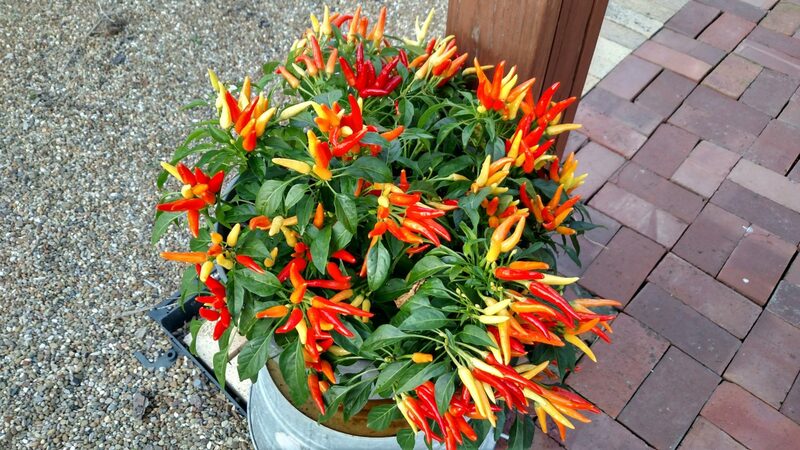 For the last three years now, we have used our Sangria and Chili Chili ornamental peppers to fill hanging baskets that line our driveway – and each and every season – they have completely out-performed any other annual hanging plant we use. 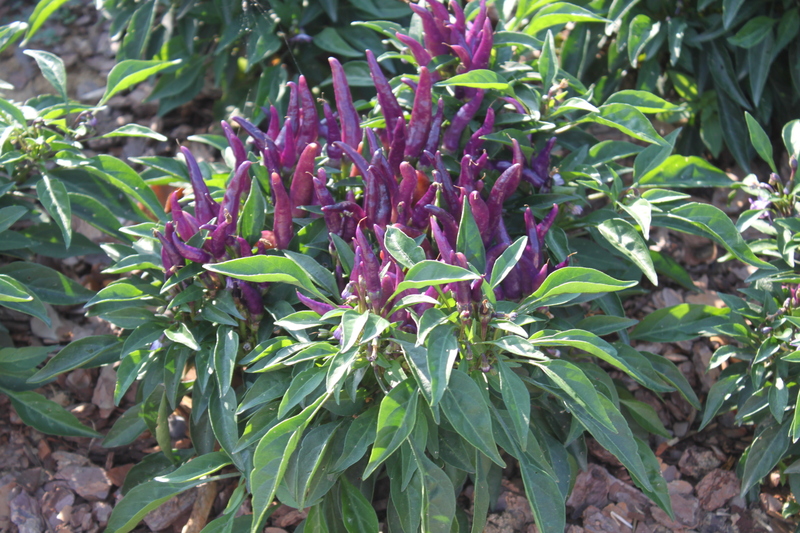 They provide beautiful dark-green foliage in the early spring, followed by hundreds of tiny dark purple peppers by early to mid – summer. And as we head into fall – they have now turned to a brilliant red and orange to add a fiery color to the landscape. Meanwhile – our other “standard” annuals we plant like our Petunias, Salvia and Impatiens have lost most of their vigor and color. 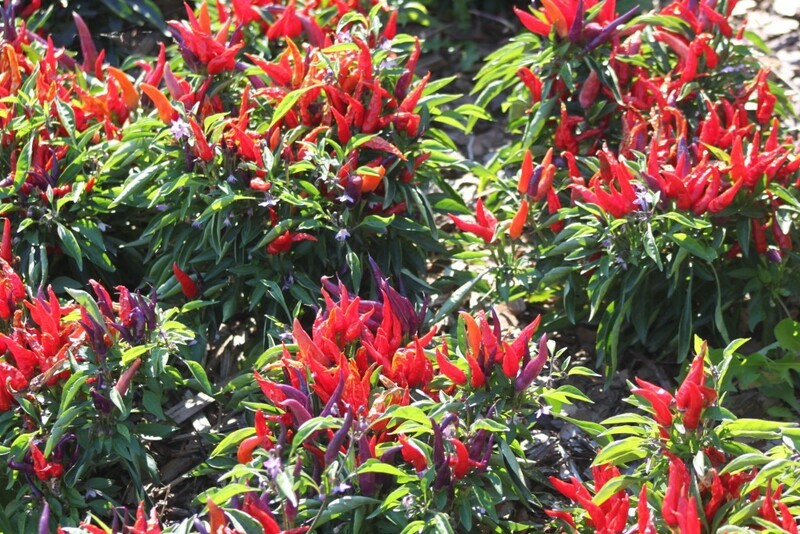 And although the Sangria and Chili Chili peppers will always be among my favorite – we use other varieties such as Black Pearl, Chinese Five-Color, Poinsettia and Calico in everything from planters to mass plantings in the landscape to add bursts of all-season, ever-changing color. 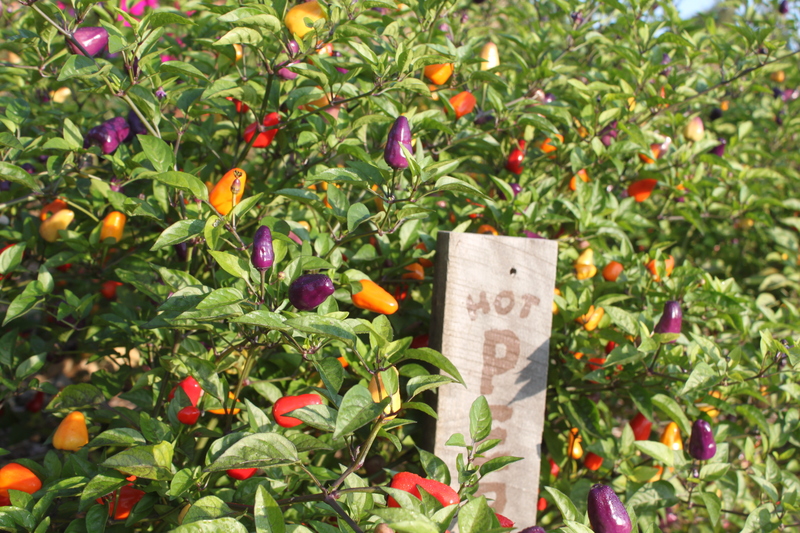 Ornamental peppers are also one of the easiest seeds to save and grow each year – making them extremely economical! 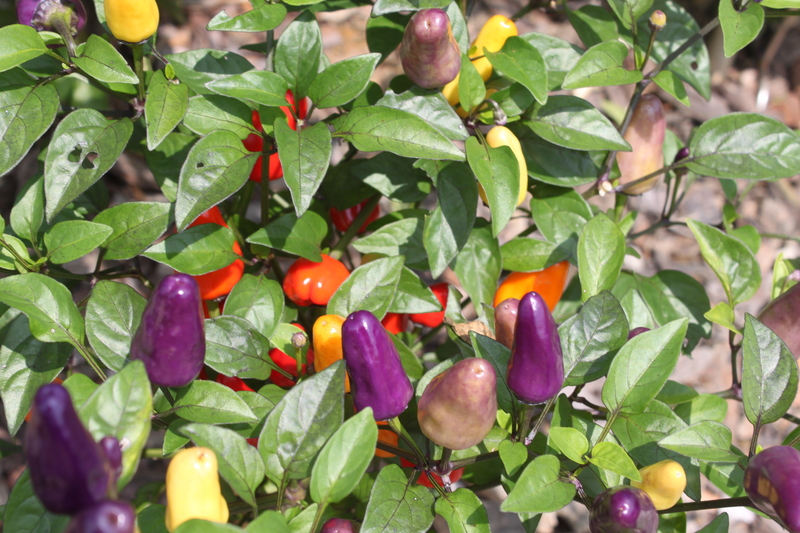 The process is simple – we select a small quantity of the best looking and largest mature peppers from a few plants of each variety – making sure to select only the peppers that have matured to their final color. 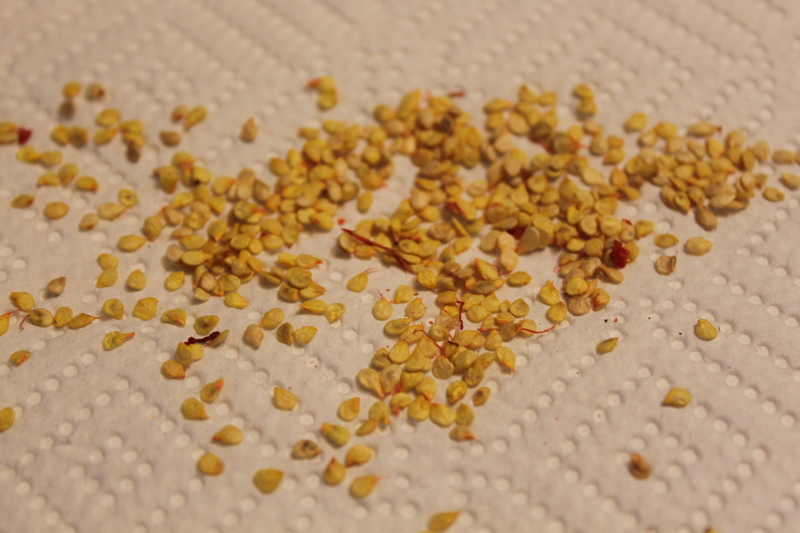 Next, we slit open the skins, scrape out the seeds – and then lay them out on a paper plate for a week or so on the back porch to dry. When dry – we put them in a zip lock bag with a folded paper towel to help absorb any remaining moisture – and we are all set for next year! 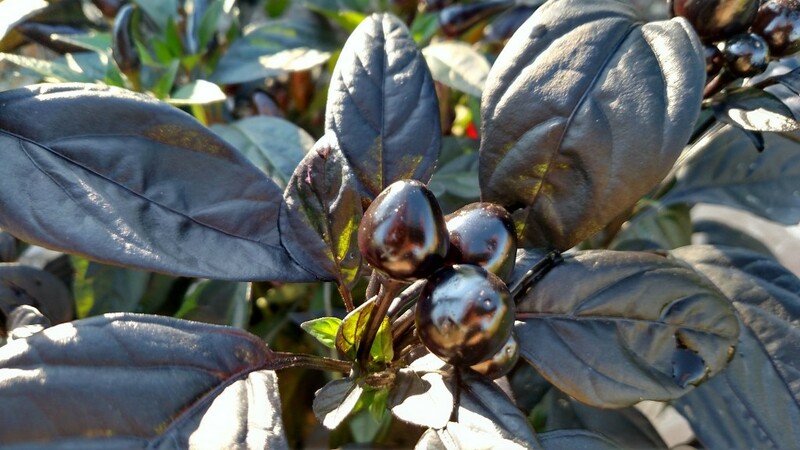 Although I think I could go on and on about how much we love them – I think the pictures below will tell more than our words could ever describe of why we think the ornamental peppers are the most beautiful plants we have ever grown! If you would like to receive our Sunday Updates each week – be sure to sign up to follow the blog via email in the right hand column, “like” us on Facebook, or follow us on Twitter. ← Putting The Garden To Bed – How To Plant A Cover Crop This Fall!